Each year the Virginia Legacy Soccer Club and the Williamsburg Soccer Foundation awards up to $1000 in scholarship aid in memory of David Pickeral. David was a travel player with the club, who passed away at age 16, suddenly on Saturday, Nov. 5, 2005. David’s passing was subsequent to an injury he suffered while playing the game he loved. A native and lifelong resident of Hampton, David was an honor student at Bethel High School. David loved soccer and played with pride for the U18 Wizards Elite. When his grandmother passed away, he took great joy in driving her 1994 Cadillac. He also had a love for children which was displayed by the interest he took in working along the side of his mother at the daycare center "Friends in Jesus Learning Center." The David Pickeral Memorial Scholarship is awarded to a male or female player who intends on continuing his/her studies in college. The applicant is not required to continue to play soccer in college. The VLSC Board of Directors developed and oversees the application process. A review committee appointed by the board will recommend the award of the scholarship. The money must go towards tuition, fees, housing or books. The applicants must have played for the Virginia Legacy Soccer Club for at least three years prior to consideration for the scholarship. Raegan was with the Virginia Legacy since she was 12 years old and was a long time member of the 00 Girls CCL team who reached 2 Virginia State Cup Final Fours. She graduates with a 3.92 from Bethel High School where she was an integral part of the athletic and academic community there. Raegan has countless hours volunteering with youth groups, local Kiwanis chapters, Virginia Legacy and other organizations on the Peninsula. She has worked as a senate page with the Virginia General Assembly and was named teenager of the year by Kiwanis Hampton. She also recieved the National Society of High School Scholars Medallion for Academic Excellence. 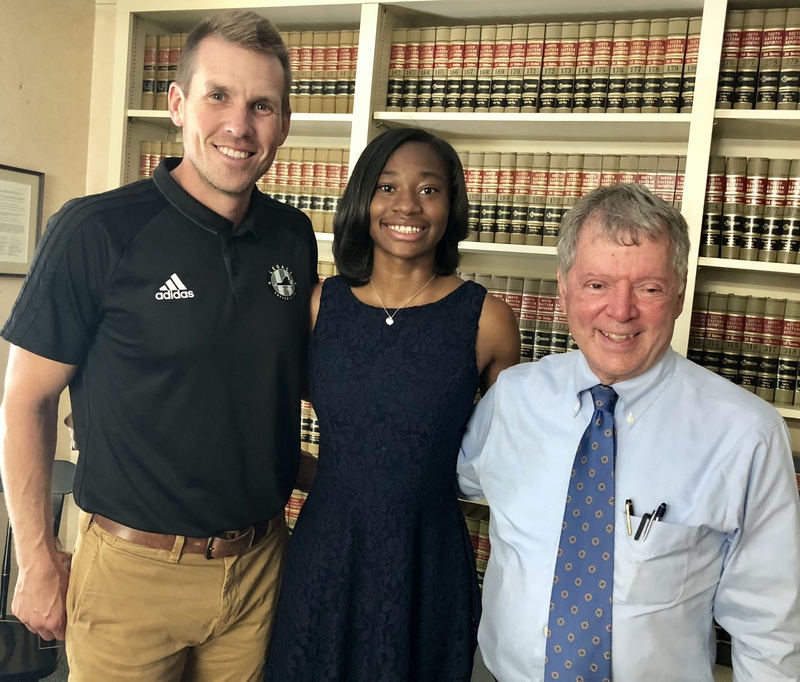 Raegan Johnson will attend the ODU Honors College and we at Virgina Legacy commend her for her excellent work and committment on the field, in the classroom and in the community!